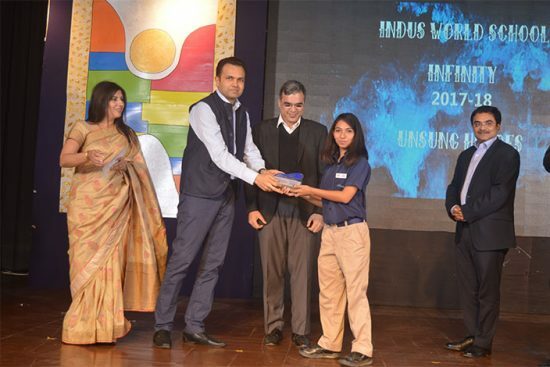 At the Indus World School, we have received awards and recognition from institutions of highest reputation. Specifically, we are proud to be certified by Great Place to Work™ . Great Place to Work™ certificate is awarded to those organizations that are known for building a high-trust, high-performance culture. Every year, more than 8000 organizations from over 50 countries partner Great Place to Work® Institute for assessment, benchmarking and planning actions to strengthen their workplace culture. Great Place to Work® Certification Program is the first step for an organization in its journey to build a High-Trust, High-Performance Culture™ and Indus World School has successfully accomplished this milestone. Great Place to Work® Institute’s methodology is recognized as rigorous and objective and is considered as the gold standard for defining great workplaces across business, academia and government organizations. The findings are published annually in prestigious media channels across the globe, such as Fortune, Handesblatt, The Economic Times, Mint by HT Media and Le Figaro Economie. They represent the definitive employer-of-choice and workplace quality recognition any organization can receive. We hope that we make great strides in surpassing our own culture assessment results and keep raising the bar for ourselves and other organizations aspiring to become great workplaces. The digitalLEARNING is Asia and Middle East’s well established and well known monthly magazine on innovations related to education, focussing on Information & Communication Technology’s (ICT) role in it. Digital Learning is known for taking up policy matters in education and has pioneered in providing a wholistic perspective of the education landscape, keeping in mind a variety of stakeholders. Indus World School has been recognised by Digital Learning as a top ranked school. Indus World School is a member of the prestigious Global Schools Forum. Global Schools Forum (GSF) is a membership organisation of schools and school networks around the world, committed to working together to expand access and provide quality education to children from low and middle-income backgrounds. 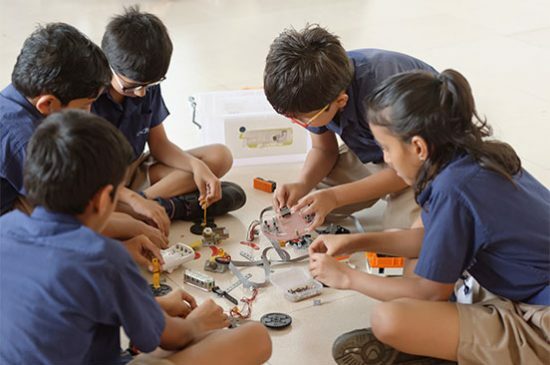 As part of this network, Indus World School gets the ability to connect and collaborate with member schools across Asia, Africa and South America. We have the opportunity to not only share our resources, but also to use resources from other members. In addition, we are invited to attend conferences and events that GSF organises and it certainly leads Indus World School to widen its network and impact both in India and globally.